”One hopes for something resembling truth, some sense of life, even of grace, to flicker, at least, in the work.” This is a statement by Jasper Johns made in 2006, which served as an inspiration for the title of his biggest survey of works held in the UK in the last forty years. Hosted by the Royal Academy of Arts, of which he is an Honorary member, the exhibition will comprise over 150 works such as sculptures, drawings and prints, accompanied by new pieces from the artist. All of them span a remarkable career of six decades and will be brought together from international private and public collections which rarely loan them. 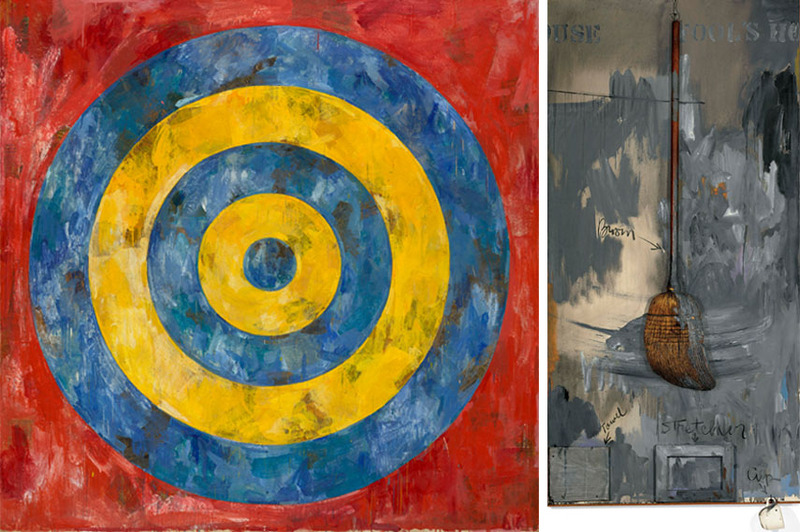 Recognized as one of the most influential and significant artists of the 20th and 21st century, Jasper Johns is known for his iconic images of targets, flags, numbers, maps and light bulbs. 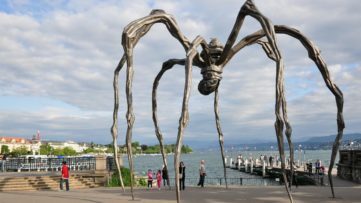 His extraordinary vision of the familiar, he introduced a new vocabulary to contemporary art, first in New York City in the 1950s and then to the rest of the world. 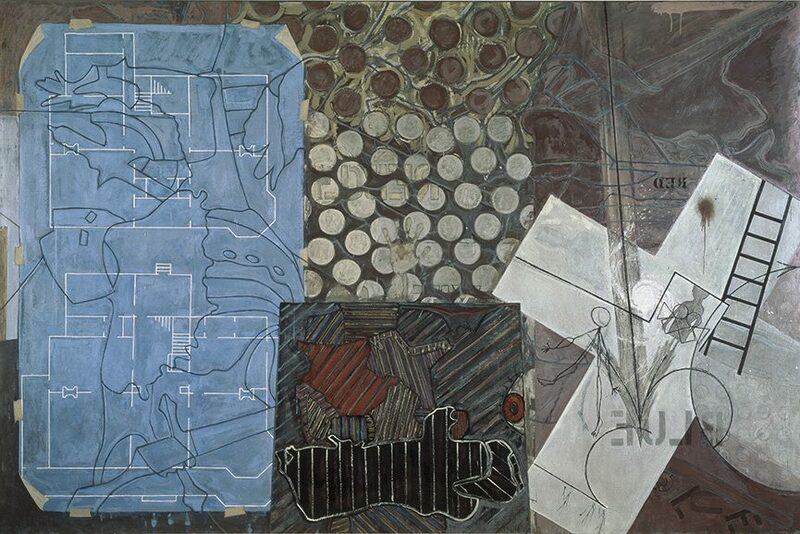 Emerging from the dominant Abstract Expressionism movement and inspired by the Dadaists, Jasper Johns revolutionized the concept and materiality of artwork by employing experimental techniques and different points of view. The artworks he produced laid ground for Pop Art, for their appropriation of common products and signs, and inspired the movement’s aesthetics in the long run. 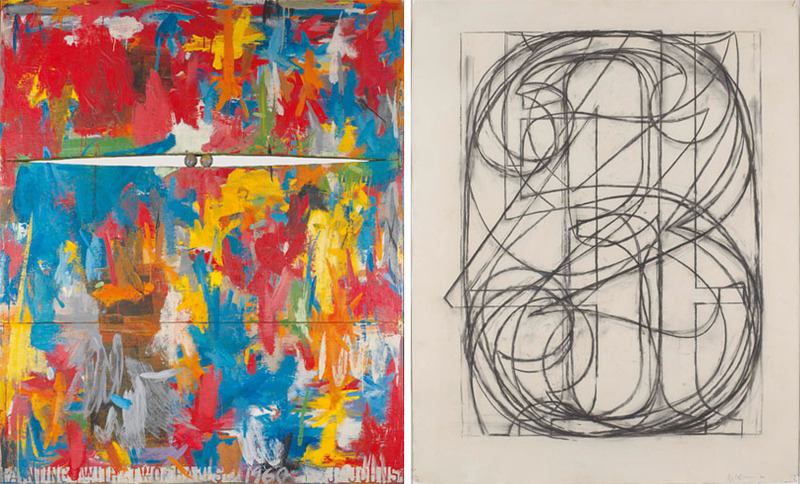 Because Jasper Johns’ career has been lasting for so long, it is interesting to see the continuities and changes that have occurred on the way, as well as the experimentation and curiosity that the artist sill applies to his practice to this day. In the 1960s, he started establishing himself as one of the most prolific printmakers out there, while his artworks often contained subjects from his studio, such as imprints and casts of the human figure. The 1970s were marked by “crosshatchings”, an abstract pattern which dominated the paintings, while it was the variety of images that engaged with the ambiguities of perception and themes of memory, sexuality and contemplation of mortality which were introduced in the 1980s. 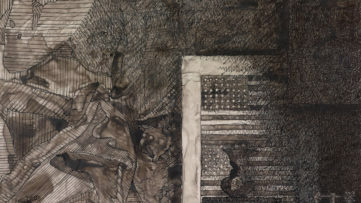 In the following two decades, Jasper Johns increased complexity and reference to his subjects, and produced the more conceptual Catenary series which, along with recent series such as 5 Postcards and Regrets from 2013, shows the rich productivity and vitality of this late phase of his career. 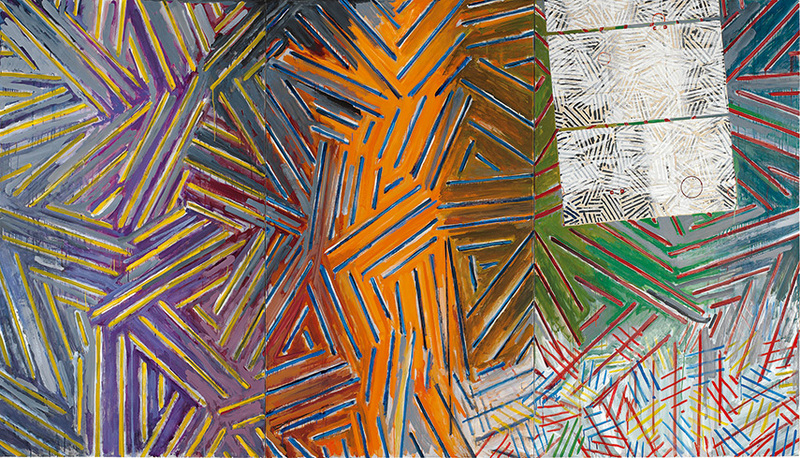 Jasper Johns: Something Resembling Truth will be on view at the Royal Academy of Arts’ Main Galleries in London from September 23rd through December 10th, 2017. The Press View is scheduled for September 19th from 10am to 2pm. The display is arranged thematically, to show the full range of Johns’ materials, motifs and techniques including his unique use of encaustic and collage in paintings, as well as the innovations he has achieved in sculpture and the graphic arts by expanding the possibilities of traditional media. The exhibition will also travel to The Broad Museum in Los Angeles, where it will be on view from February 10th to May 13th, 2018. 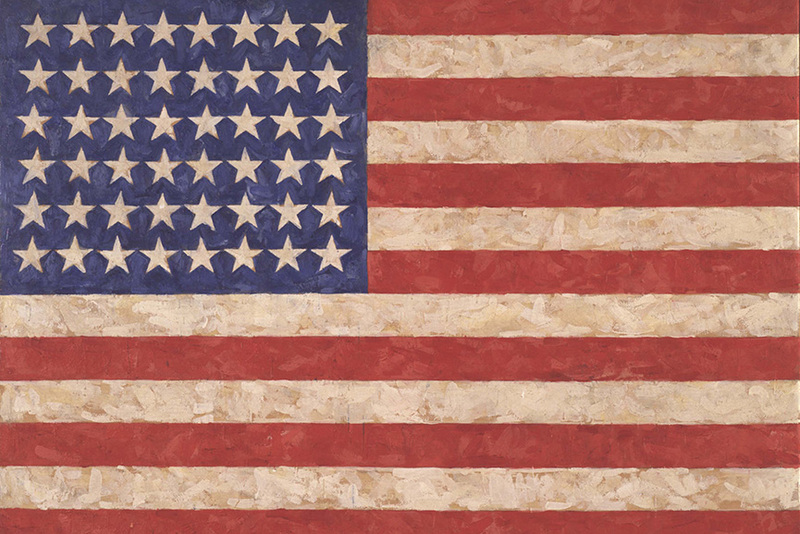 Featured images: Jasper Johns – Flag, 1958. Encaustic on canvas, 105.1 x 154.9 cm. Private collection © Jasper Johns / VAGA, New York / DACS, London 2017. Photo: Jamie Stukenberg © The Wildenstein Plattner Institute, 2017; Jasper Johns – Regrets, 2013. Oil on canvas, 127 x 182.9 cm. Collection of Marguerite Steed Hoffman © Jasper Johns / VAGA, New York / DACS, London 2017. 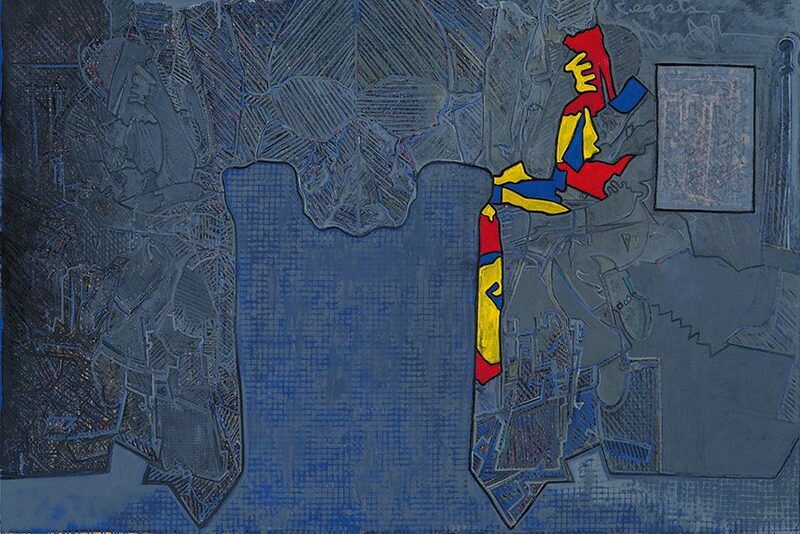 Photo: © Jerry L. Thompson; Jasper Johns – Untitled, 1992–4. Encaustic on canvas. 199.4 x 300.7 cm. The Eli and Edythe L. Broad Collection © Jasper Johns / VAGA, New York / DACS, London 2017.